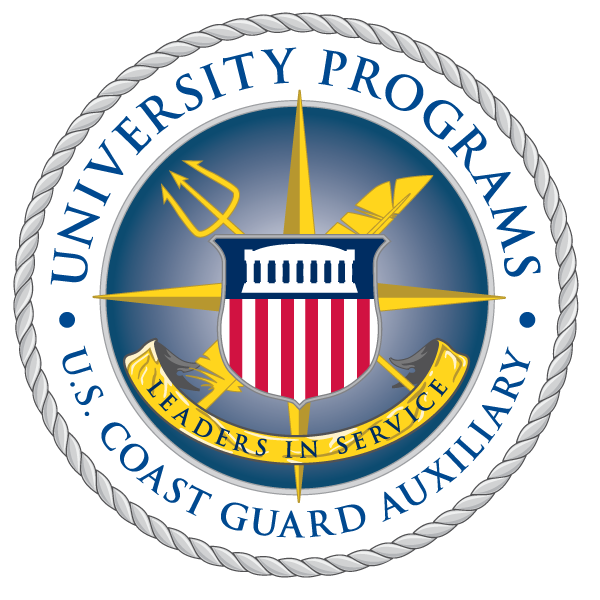 USCG Auxiliary University Program graduates are "Leaders in Service"
I wrote last week of the very productive U.S. Coast Guard Auxiliary National Conference that recently concluded. Steve Pegram, Carolyn Olsen, and I represented the University Programs Branch, and had the opportunity to make some really exciting announcements for our campus-based programs nationwide. I will be discussing this work here in a series of posts over the next several days. We have talked a lot about the students that are the heart of this program and the reason for its existence. Our core mission in university programs could not be more simple - prepare students to be leaders in service when they graduate. We've introduced you to these students and shown you what they are up to in both their regular operations and at their graduation. As we started looking at what our graduates of the last several years have been up to, we were excited to find that they have continued their service: 35% now serve as "Americas Volunteer Guardians" in the USCG Auxiliary, 41% have completed Officer Candidate School and gone on to serve on active duty in the Coast Guard, and 24% have joined one of the Department of Defense services. One just began a Masters of Public Administration (MPA) program with a concentration in non-profit management, at least one is in law school, another transferred to the Coast Guard Academy, and yet another opted to enlist in the Marine Corps. This is incredible news for our young program, and I couldn't be happier. Each of these graduates have come from The Citadel or The College of William and Mary - two schools of very different flavor now united by this common initiative. The Citadel is "The Military College of South Carolina," while William and Mary -- the nation's second oldest college -- has become known in recent times for its students engaged with service engagement with communities around the world, overseas service trips, graduates entering Teach for America, the Peace Corps, and public service elsewhere. I find that the Coast Guard Auxiliary's University Program is a good fit at both, and I am excited for the graduates that these respective programs are producing.